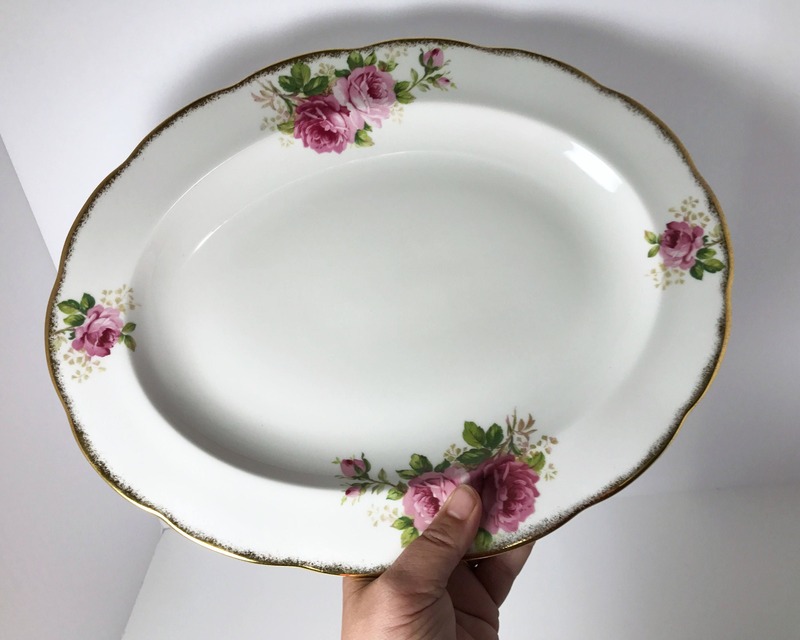 Vintage Royal Albert American Beauty 13 Inch Serving Platter - Large Oval Plate in Pink Rose Pattern - Charming! 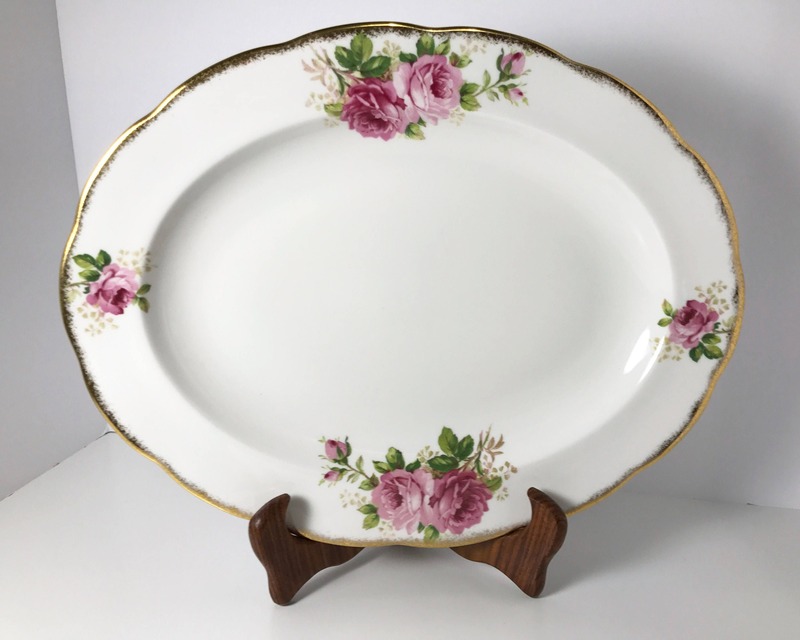 Vintage Royal Albert "American Beauty" 13 Inch Serving Platter - Large Oval Plate in Pink Rose Pattern - Charming! 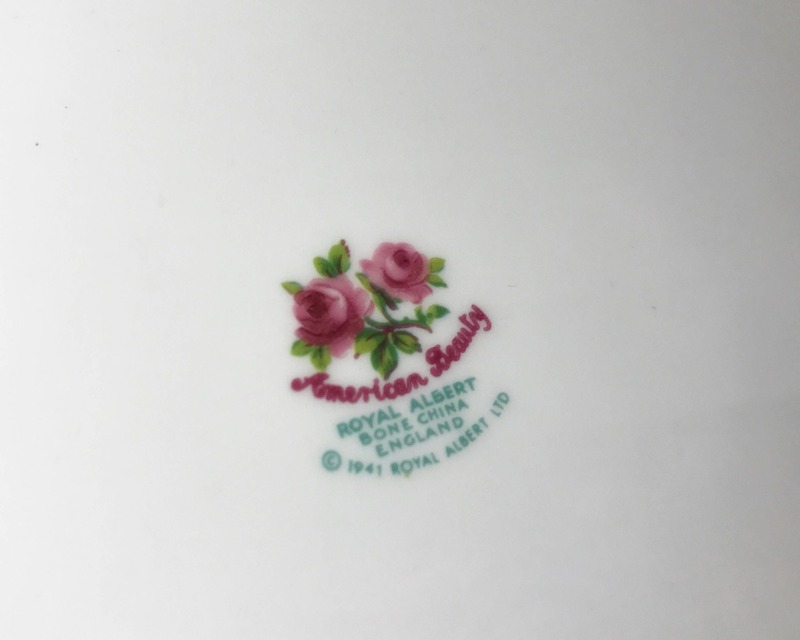 American Beauty is one of Royal Albert's most popular patterns in English bone china - elegant yet so English garden with its design of pink roses and gold brushed rim. 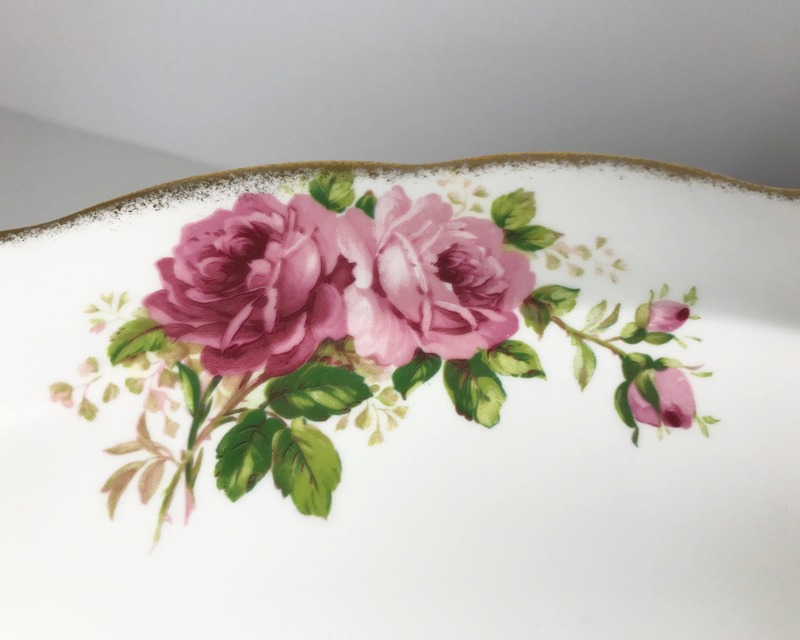 The American Beauty rose was developed in 1875 in France as Madame Ferdinand Jamin and was introduced to American the same year as American Beauty, and this hybrid perpetual rose became a bestseller until the 1920s. This is the same flower that is featured on the cover of the Grateful Dead album, and featured in the movie "American Beauty". 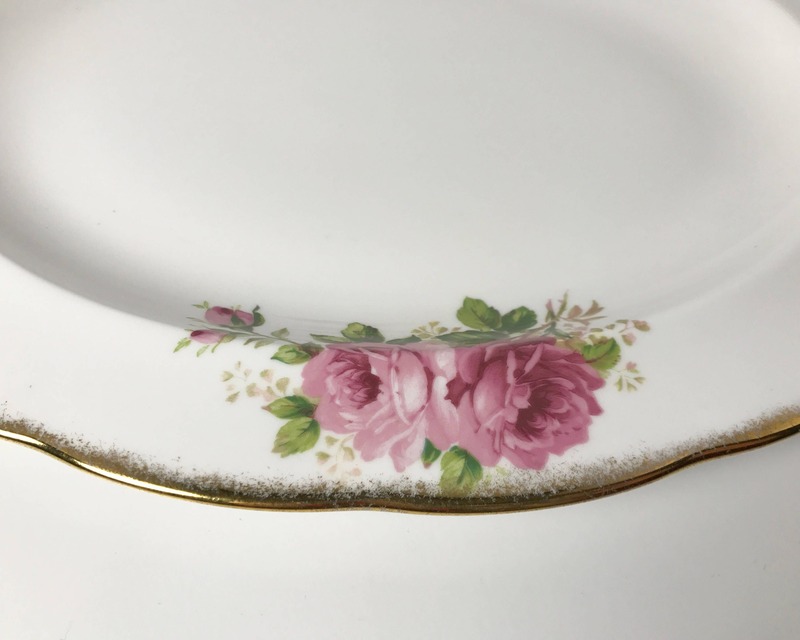 This pattern, by Royal Albert, was in production from the forties though to 1990. This example would most likely be from the later period of production due to the copyright inclusion on the back marks. CONDITION: Excellent. 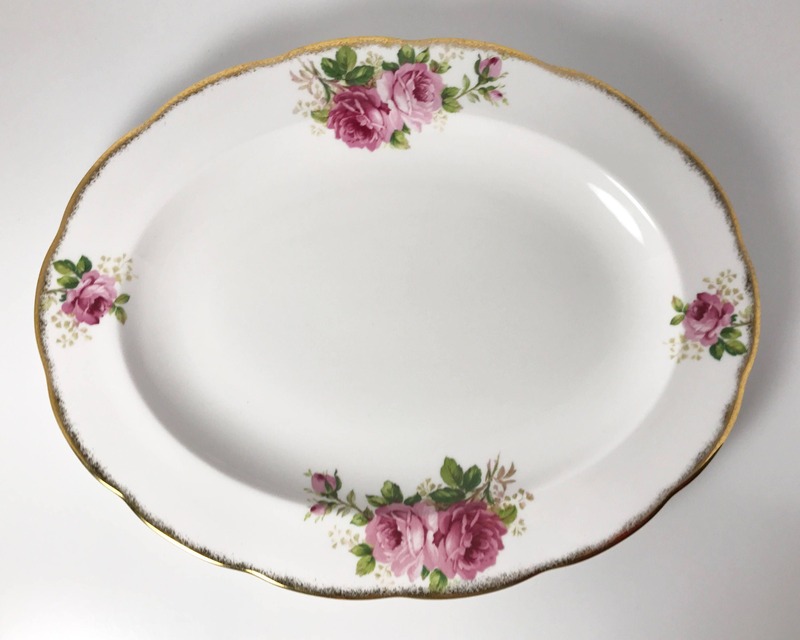 This platter is in perfect condition with no chips, cracks, nicks, or scratches. 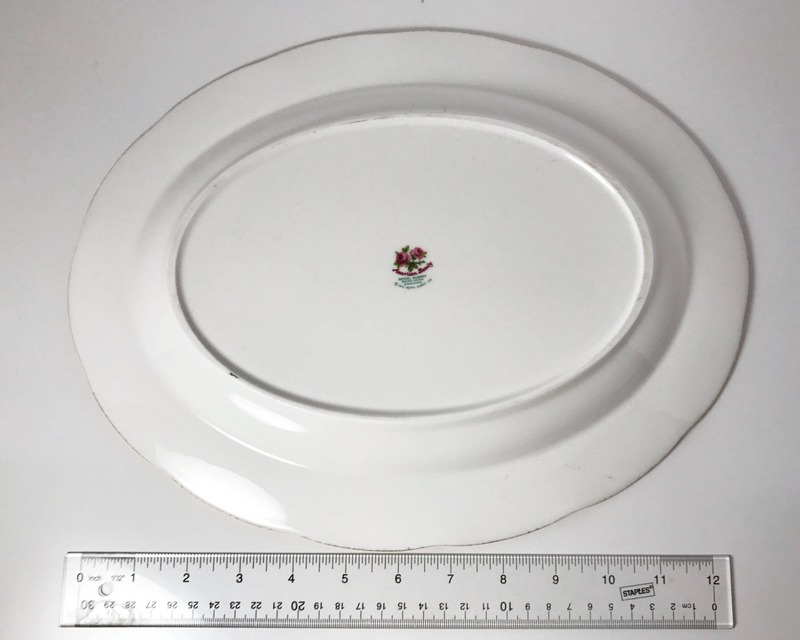 SIZE: 13 1/2 inches long and 10 1/2 inches wide.